From those writing experiences and my relationship with my typewriter in my child years. I sadly left the writing world, and forgot about my dreams. Many years later, I started to pay attention to other things in life, and stopped writing until I was probably out of college, or even after I had finished some postgraduate studies. I studied a career that was never meant for me, so when I read about a short-story local contest in the newspaper, I heard a voice calling me again… I didn´t win anything, but being more mature this time, I acknowledged that writing was truly a passion for me. For many years, I had several jobs in a career that I never liked, and a life situation where I was always unhappy. Finally, I decided that I had to find what I really wanted to do in my life and shout it to the world, and I did. 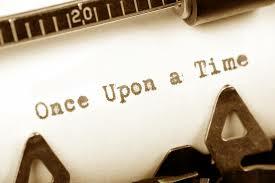 Now, I´m a writer, even if I don´t write that well yet, or even when I have so much to learn, I consider myself a writer, because writing helps me to be sane, it helps me communicate with the world, and it helps me discover a life where I feel everything is possible. I have started writing this year, and I chose to do it in English (because all the books I read are in English and writers tend to write according to what they read) and I feel absolute and totally happy and satisfied with my life, because for the first time I´m acknowledging who I am, what I want to do for the rest of my life, and I´m totally confident that I´m working hard on it. I am enjoying your posts. Great post! I’m glad you’re following through on your passion for writing–it’s such an amazing form of expression and so fulfilling. Indeed it is, thanks for reading my post!